Going into their matchup vs. the Université de Québec à Montréal (UQAM) Citadins on Thursday night, the Stingers had lost three games in a row. On Thursday night, the Stingers pulled through in a high scoring game of 88-87, giving them a 4-1 record on the season against the Citadins. This was the most points the Stingers had scored all year, but on this night, the Stingers did not have an answer for UQAM’s dual attack of guard Richard Addai and forward Alexandre Bernard, who had great games. Addai scored 30 points in the loss while Bernard had 26 points. Conversely, UQAM did not have answer for forward Mukiya Post who had his best game of the season scoring 33 points. 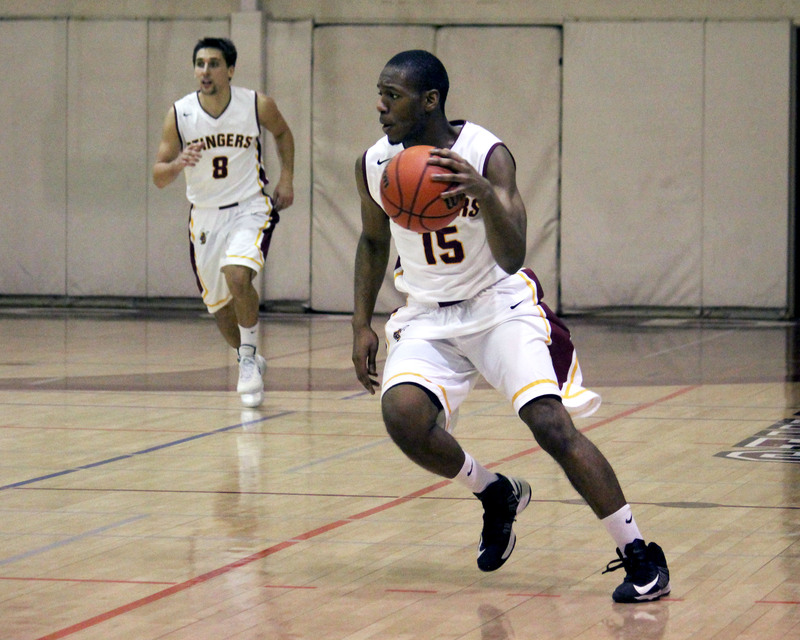 The Stingers dominated in the rebound game as they had 39 rebounds while UQAM had 25. Both Post and centre Zach Brisebois had seven rebounds in the victory. The Stingers opened the scoring with a basket by Brisebois who would have two early baskets to start the game. The Citadins would respond with a three pointer by Bernard. Bernard scored his team’s first seven points. Addai would reduce the Stingers lead to three points with a three pointer. The Stingers would have an 8-0 run to end the quarter, leading 25-14 after the first quarter. Concordia once again would open the scoring in the second quarter with a two pointer by Post. UQAM would get their first basket of the quarter within seconds as Bernard would hit a two pointer. UQAM’s guard Alan Pivovar would hit one of his two three pointers in the quarter after the Stingers took a ten-point lead. Addai would then hit two back to back threes to make it a three point game for the Stingers. Addai would later tie the game at forty. But that didn’t last long as Post broke the deadlock with a three pointer. The Stingers would take a two-point lead into half-time, 45-43. Addai had 19 points going into halftime while Post had 15 points. The Stingers would end the quarter with a three pointer by Chmielewski. Concordia would be down nine points going into the fourth quarter, losing 71-62. The Stingers, like in the other previous three quarters, opened the fourth quarter with a two pointer by Chmielewski. The Stingers would score six straight points before UQAM would get its first basket of the quarter at the seven minute mark, a field goal by Addai. With 5:32 left in the quarter, Post scored seven straight points to make it only a two-point lead for UQAM. Pivovar would hit back-to-back threes to increase the Citadins’ score to eight points. With two minutes left in the quarter, Post once again struck for the Stingers, getting nine straight points including the game-tying three pointer. UQAM would make a costly mistake, fouling Chmielewski with five seconds left in the quarter. He would then make the game winning free throw. “It was a gusty team win and I’m really proud of the team,” assistant coach Rastko Popovic said.